Friday, January 25, 2019 - SESSION FULL! Friday, April 12, 2019 - SESSION FULL! Or contact us to book an alternate date with your team! Powerful Bones helps students understand that bones are dynamic, living tissue. In this teacher workshop you will receive information and activities to help students understand that adolescence is a once-in-a-lifetime opportunity to build strong bones. Students will assess their intake of calcium-rich foods and activity patterns, then plan and practice lifestyle choices that will help them build strong bones. 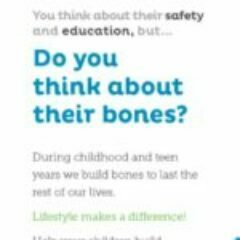 Do you think about their bones? 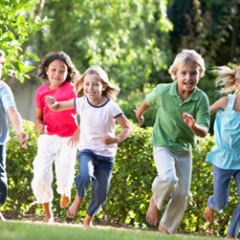 Almost all bone tissue is built during childhood and adolescence. This brochure provides parents with information about food and activity to help maximize their child’s bone building potential.